The Loved and Envied by Enid Bagnold ~ 1951. This edition: Virago Modern Classics (Penguin), 1988. Introduction by Isabel Colgate. ISBN: 0-14-016211-9. 280 pages. Lady Ruby Maclean, famed beauty, lives with her Scottish husband Gynt at his family’s French estate, the Chateau of Little Pouilly, based on the real-life Chantilly, as Lady Maclean herself is based on Bagnold’s friend, famed society beauty Lady Diana Cooper. 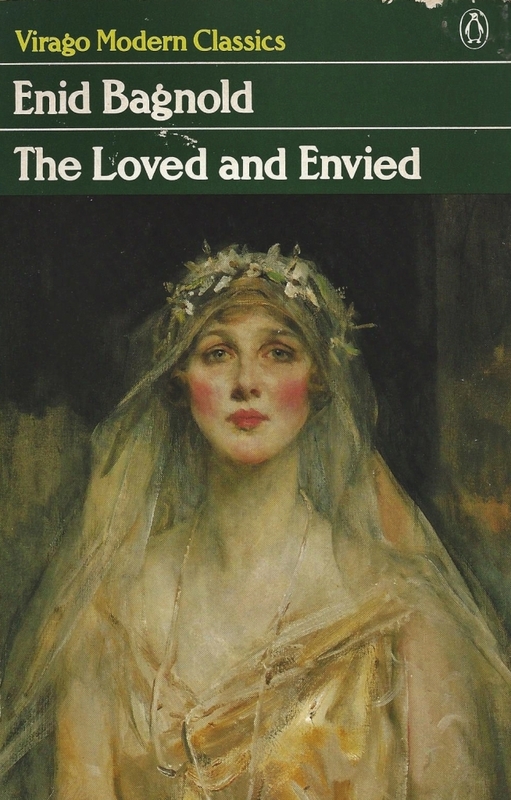 Though the plot of novel is purely fictional, the character portrait is widely accepted to be a true (and flattering) one, to the extent that the Virago cover illustration is a replication of a portrait of Lady Diana on her wedding day. Not much happens, action wise, in this quietly thought-provoking book, with most of the turmoil being mental and emotional, but once we are hooked it all becomes immensely interesting. I found it to be one of those novels one spent time thinking about while one was off doing other things; the characters became real, and their fears and joys relatable. The fears tend to predominate, at least superficially, as this is a novel very much concerned with aging and death. Lady Maclean, the “loved and envied” of the title, undeniably coming to the end of middle-age at fifty-three, muses on her status as a great beauty, and what this has meant to her in every aspect of her life so far, and how the inevitable deterioration in her physical appearance has started to affect how others now react to her in the most subtle of ways. This is a masterfully written book, in a purely technical sense, and, once I figured out the writer’s game, I became a willing co-player. Bagnold takes us back and forth through time, revisiting certain episodes from varying characters’ points of view, bringing in minor characters for a paragraph or a page to allow another aspect of a scene to be verbalized, and weaving all of these at-first over-abundant threads together to create a cohesive picture at the end. Though Ruby, Lady Maclean, is the key element in the vision that unfolds, Bagnold keeps a juggler’s handful worth of other stories in play as we go along. We have Ruby’s husband Gynt, a reclusive insomniac pursuing night birds through the French woods, compulsively engaged upon writing a orthinological life-work. Their daughter Miranda, beloved of both parents, but herself deeply resentful of her glamorous mother’s life-long overshadowing. Tuxie, the slippery ne-er-do well who marries Miranda with high expectations and subsequent bitter disappointment; their removal to Jamaica and an eventual tragedy provide a touch of melodrama. There is famous painter Cora, Ruby’s closest female friend, hideous in appearance but a genius at her art. And Cora’s ex-husband Rudi, a once-popular playwright who has written the same script a few times too many, to the brutal critics’ gleeful delight. Rose, now-elderly life-long mistress of the Edouard, Vicomte de Bas-Pouilly, is superficially aged but retains her ardently youthful devotion to Edouard, and is in turn faithfully cherished by her aristocratic lover, to the secret fury of his jealous sister. Ruby’s aunt, Ursula, born with a hideous deformation which has taken her around the world in an effort to find a way of concealing it. A highly successful career as a beautician to the elite women of London follows, and her adoption of her orphaned niece provides her an outlet for love frustrated since her infancy, when those who should have cherished her were instead repelled by her appearance. Ruby owes some of her beauty to Ursula’s care; the two have an intricate bond which transcends the obvious. Fantastic novel. I enjoyed it greatly, though I didn’t much care for it a decade or so ago when I tried it for the first time. Perhaps I was still too young?! This time round I devoured it. My rating: 9/10. A definite keeper. 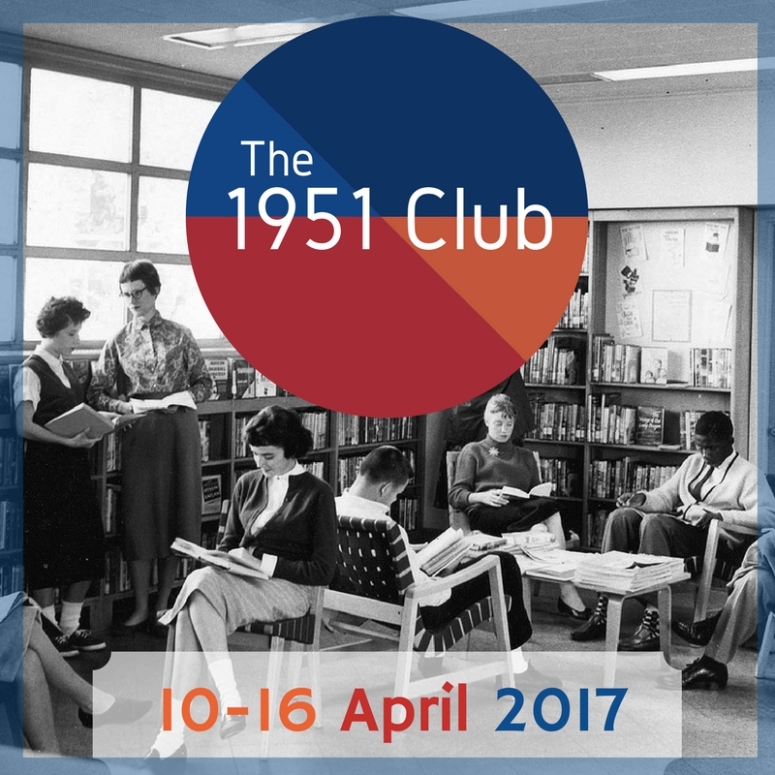 And last but not least, I’ve submitted The Loved and Envied as an entry with The 1951 Club. Another stellar year in books! Keep yours eyes open for a links roundup either here or here. Thank you, Simon and Karen, for setting this up.